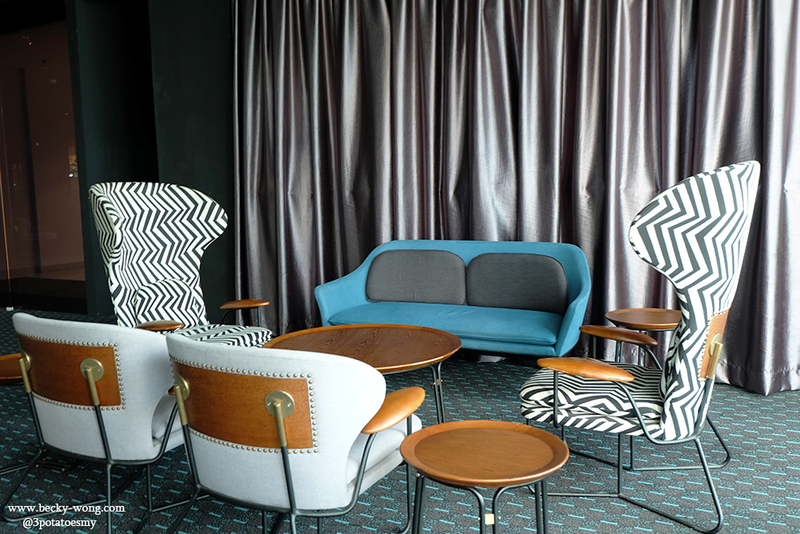 If you have always been keeping up with the dining scene in Klang Valley, the name Ruyi & Lyn will definitely not be a stranger to you. 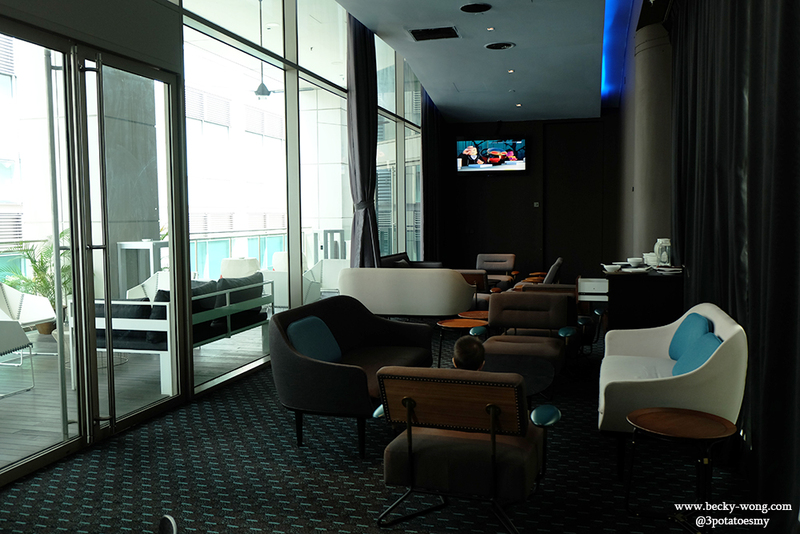 Ruyi & Lyn is located in a huge space on the 4th Floor at the back of BSC. 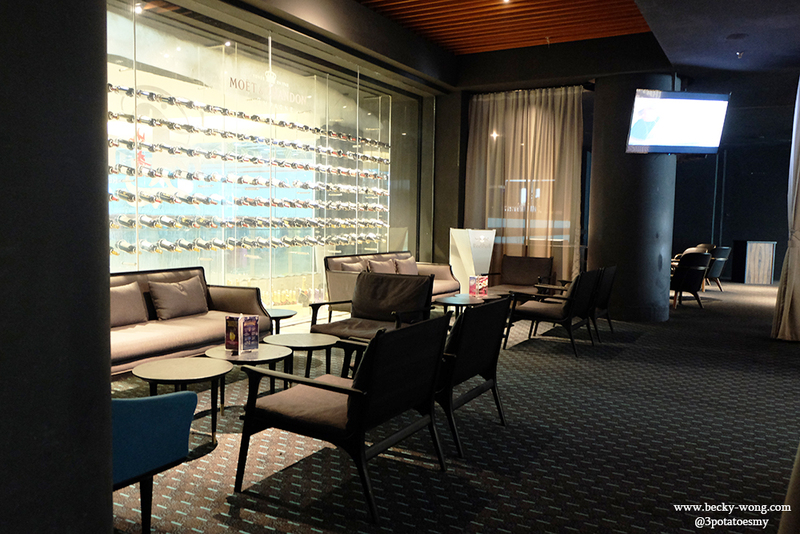 Stepping into the restaurant, we were greeted by a spacious lounge area with comfy sofas. During our visit to the restaurant, they were packing down from an event that was held the day before. So, we were seated at the cigar room instead of the main hall. The cigar room was bright and I especially love the balcony on the outside. 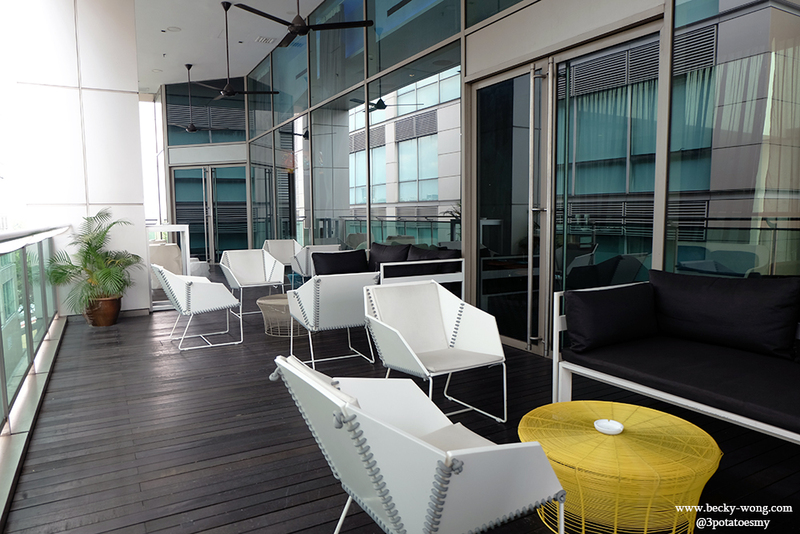 If the weather is nice, the balcony would be a perfect spot to chill or maybe take some OOTD at the same time. As for the main hall, it was a breathe-taking moment for all of us. Walking into the main hall, we were greeted by maybe the most spacious dining area that I've ever seen! (ok.. maybe I'm just not that well-exposed...). Now, back to the food!! Some pickles to awaken our taste buds before starting our meal. Ruyi’s Sushi (RM 43). The famous “sushi” from Ruyi & Lyn. If you are active on social media, you would have definitely seen A LOT of these “sushi” photos. Despite the name sushi, it is actually not sushi. 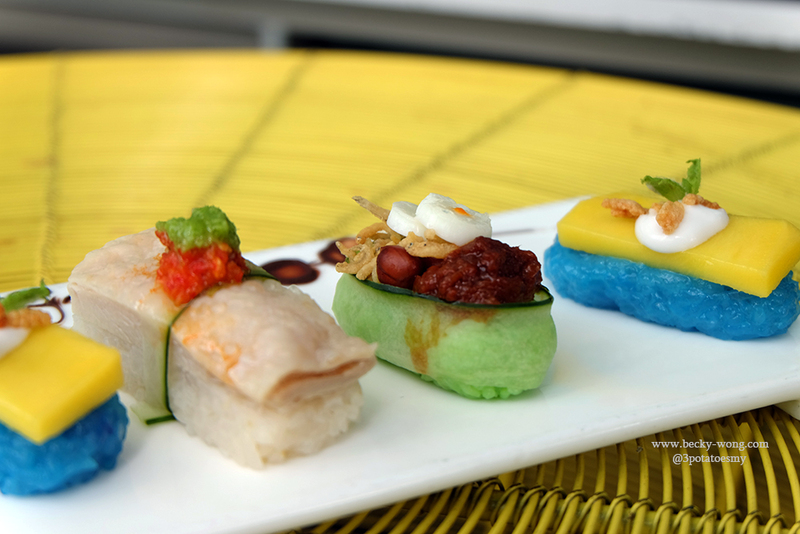 These cute bite-size sushi are the nation’s smallest combination of Hainanese Chinese Rice, Nasi Lemak and Mango Sticky Rice. Talk about good food with nice plating and photogenic at the same time! - Yellow - Salted egg. The salted egg flavours were quite mild. - Green - Wasabi mayo. Personally, I would prefer the wasabi to be more pronounced. - Red - Raspberry Jam. The sweet raspberry jam was a very interesting pairing with the prawn. 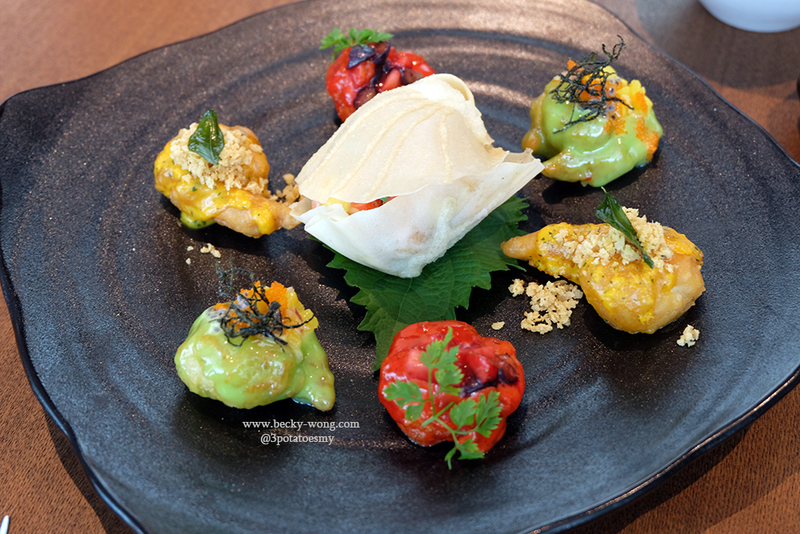 Tofu "Flower" (RM 68). As saying goes "Don't judge a book by its cover". I'd say, don't judge a bowl of soup by its look. 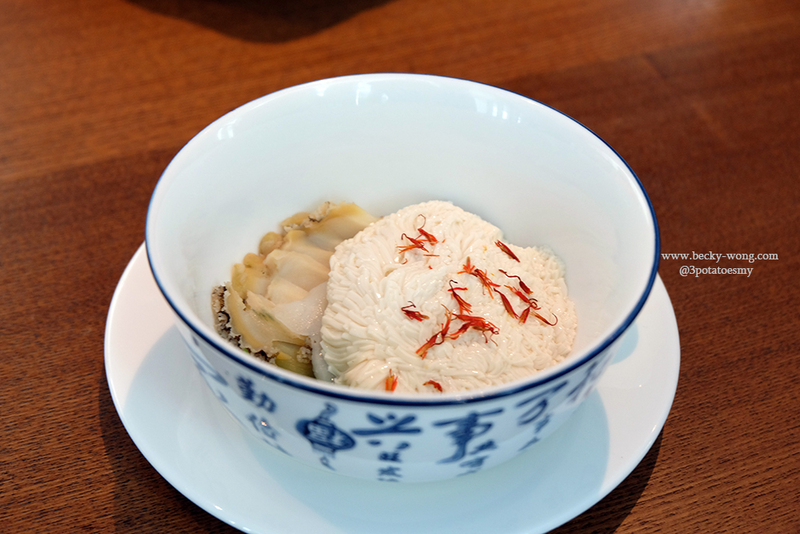 The tofu was carefully hand-sliced by very experience chef, Chef James Ho, served with abalone slices and saffron. It was so much fun watching the tofu "bloom" as we poured in the soup. 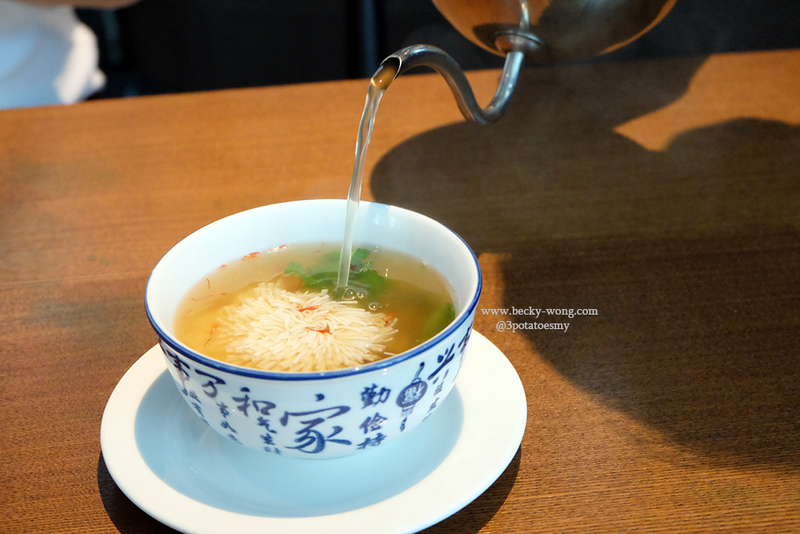 Sip after sip, the soup was just bursting with the umami flavours of abalone and scallop. 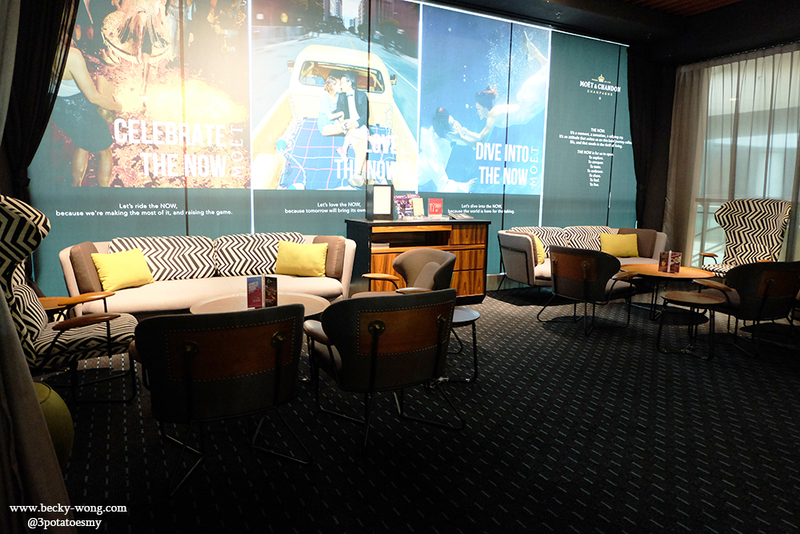 If you are looking for something to warm you up, this is the perfect choice! We love the soup so much that we finish every single drop of it. 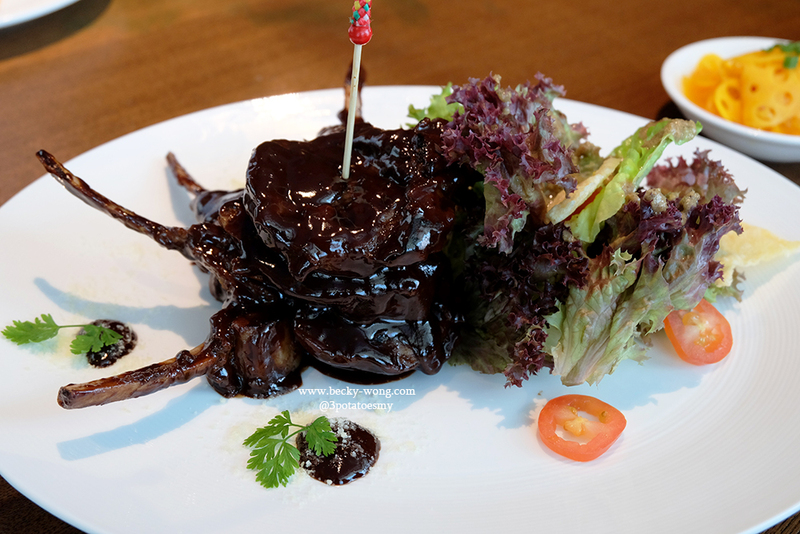 Chocolate Lamb (RM 138). 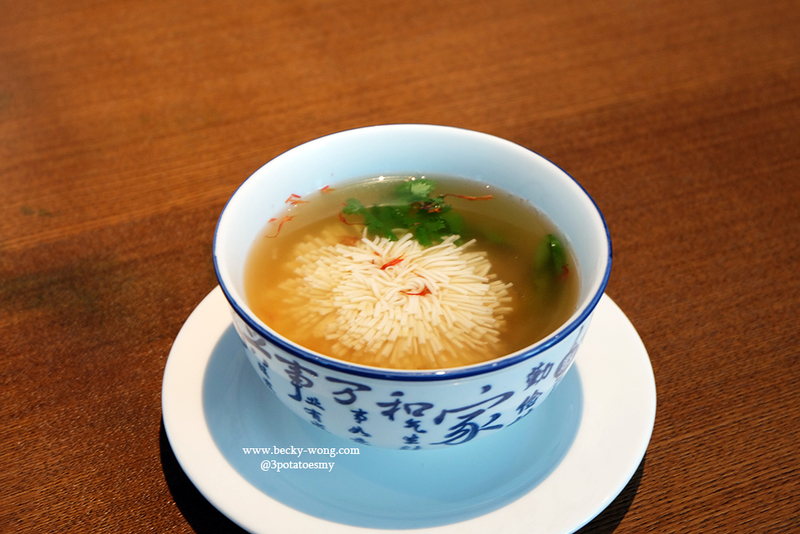 Another new dish on Ruyi & Lyn's menu. I've seen this dish multiple times but this was my first time actually trying out. The lamb chops were super tender and melt in your mouth, and the mild bitterness of the chocolate goes perfectly well with the lamb. If you've never had lamb with chocolate sauce before, you'd love this! Curry Fried Rice (RM 22 - Small | RM 68 - Large). We were hit by a whiff of curry aroma the moment this dish was served. 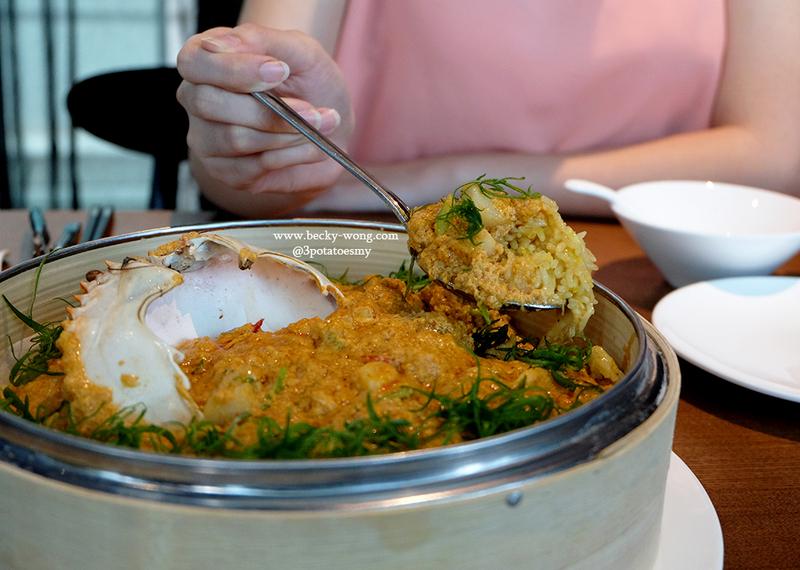 To give the dish better texture, Chef James Ho used both white rice and glutinous rice in this dish. Curry can be over-powering at times, but this is not the case. 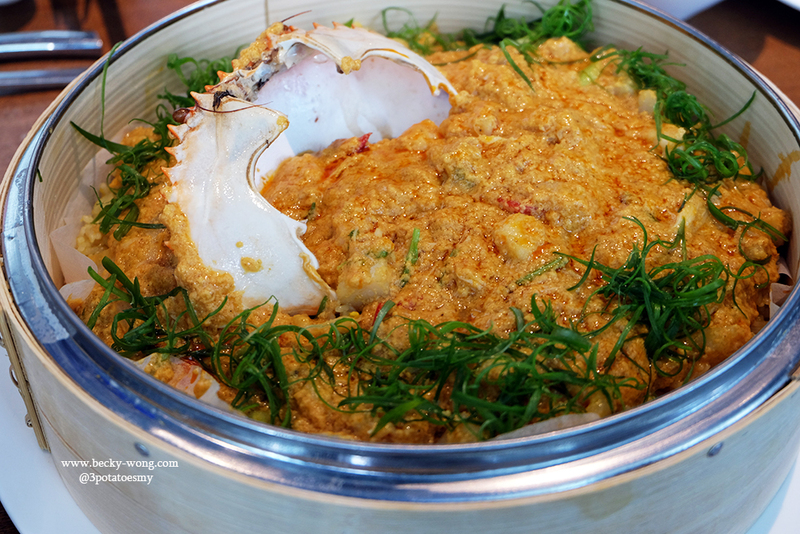 The hint of aromatic curry flavours in the sauce with seafood was very appetizing. Every mouthful was just packed with creamy-aromatic goodness! 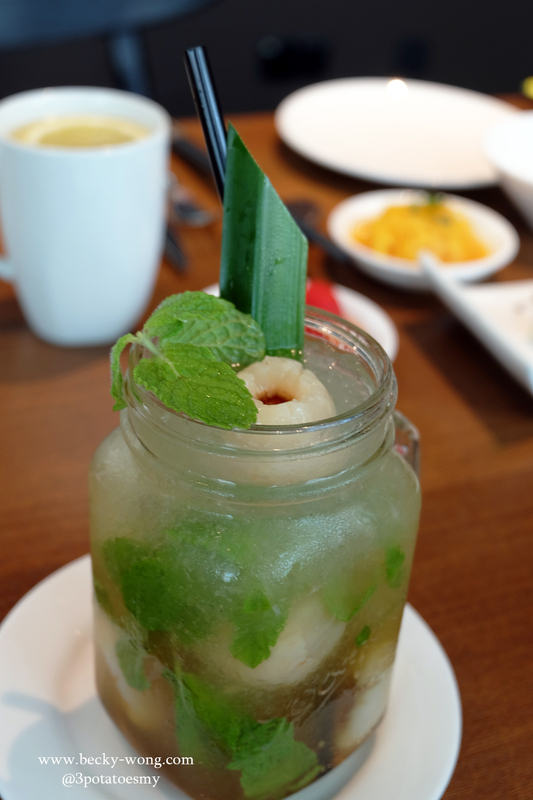 Virgin Lychee Mojito (RM 25). A very refreshing and cooling drink to have, especially with the slight minty flavours in it. 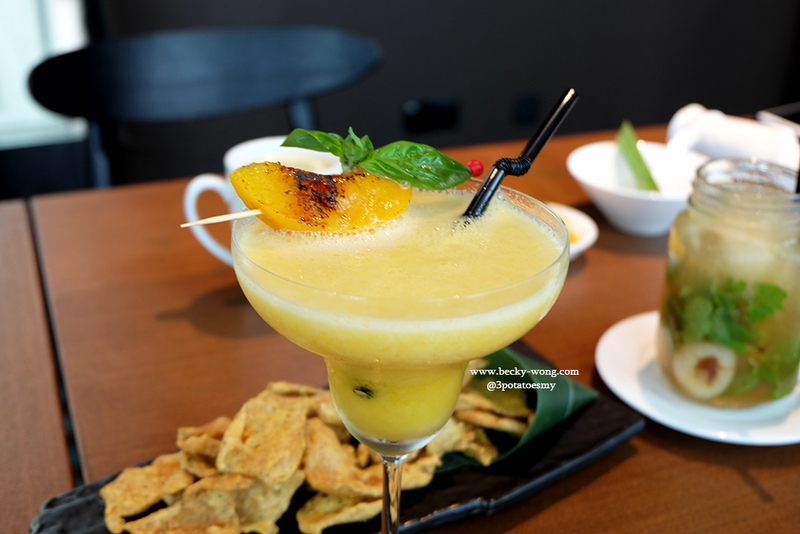 Mango Peach Martini (RM 25). Fruity yet not too sweet, despite having mango and peach in it. 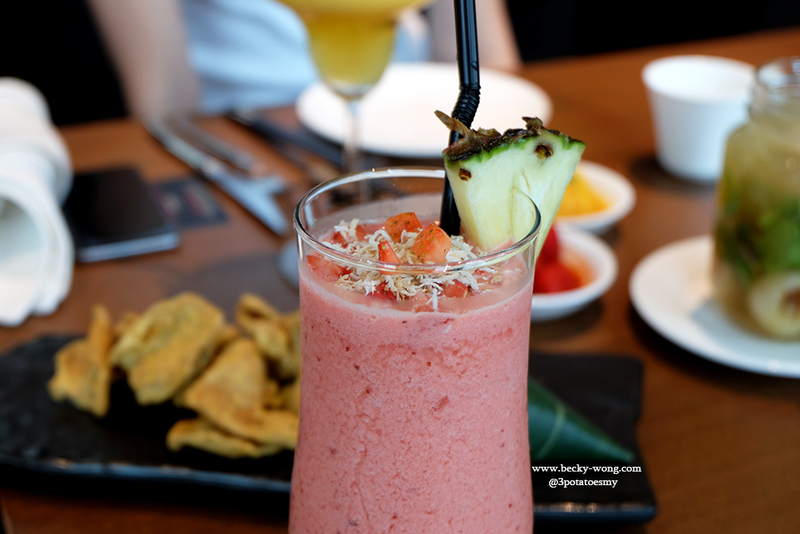 Strawberry Pina Colada (RM 25). The pina colada was slightly on the creamier side, but I enjoyed the hint of sourness from the strawberries. 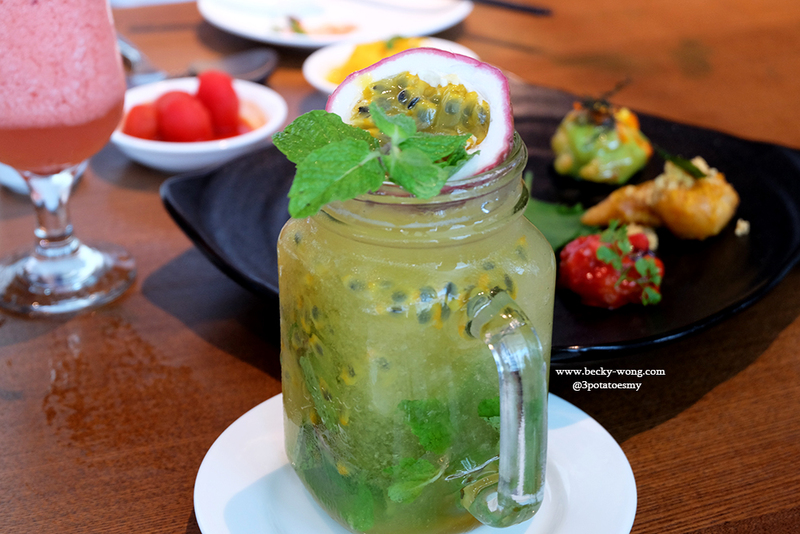 Passion Fruit Mojito (RM 25). If you enjoy the tartness of passion fruit, you'd love this. It's fruity and very thirst-quenching. 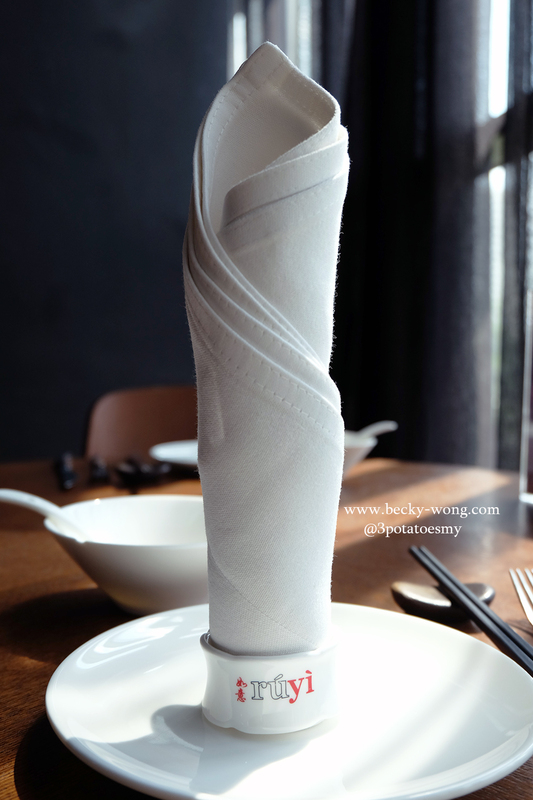 I love how adventurous Ruyi & Lyn is with their menu. 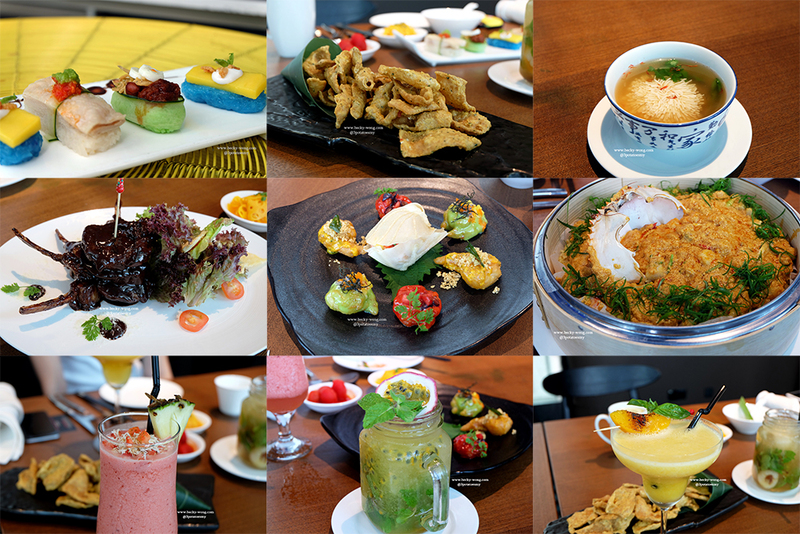 From food to drinks, a lot of thoughts have been put into it, not just on their surprise elements, but in terms of the quality of the dishes too. 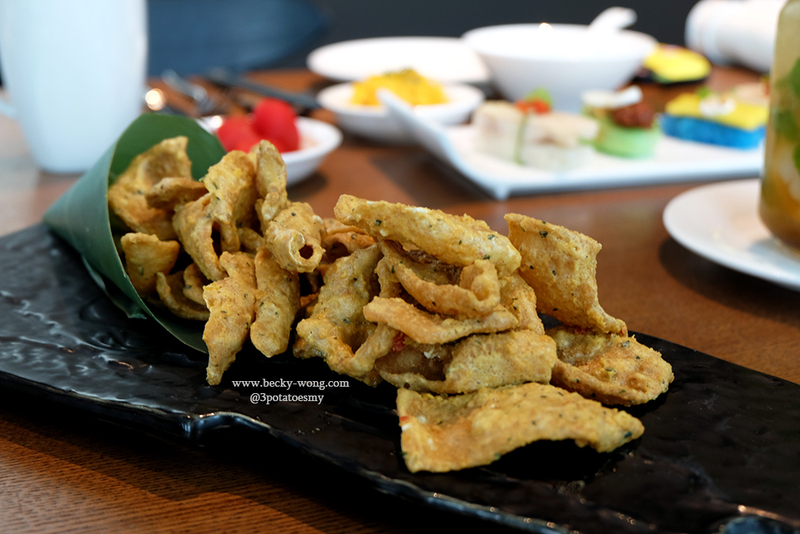 Some might say the pricing are too steep, but if you are looking to have non-traditional Chinese dishes, Ruyi & Lyn is certainly a highly recommended place. 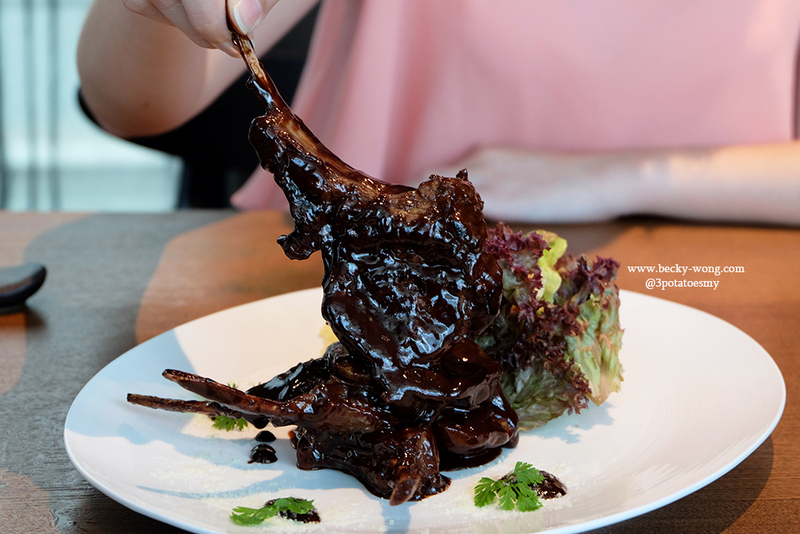 On the side note, Ruyi & Lyn still start to serve their new dishes (HeHe HaHa and Chocolate Lamb) starting from 18th March 2017. 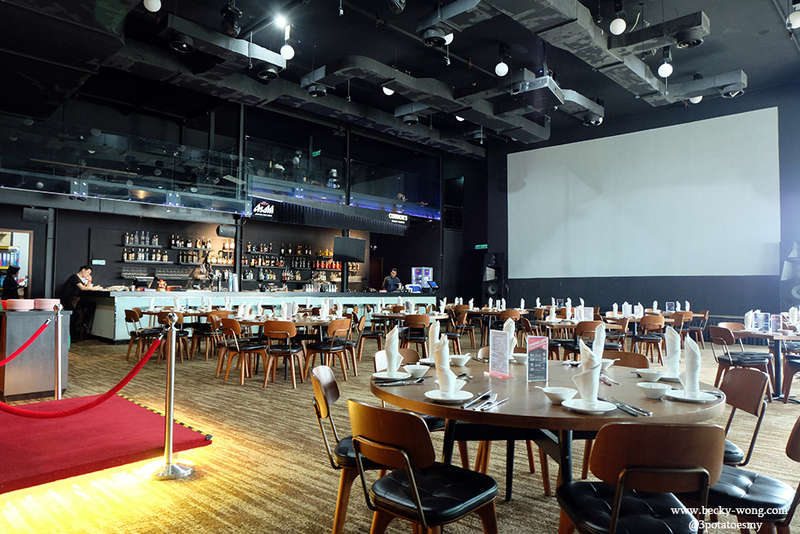 Don't forget to make your reservation before dropping by, as they are always full house! For more updates on Ruyi & Lyn, do visit their Website and checkout their Facebook and Instagram.